Kids can take a picture and deliver it to that person! 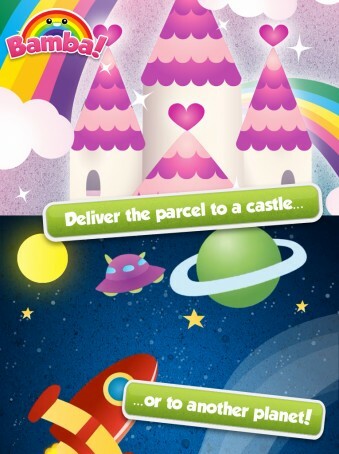 Great for interactive playtime with the kids. 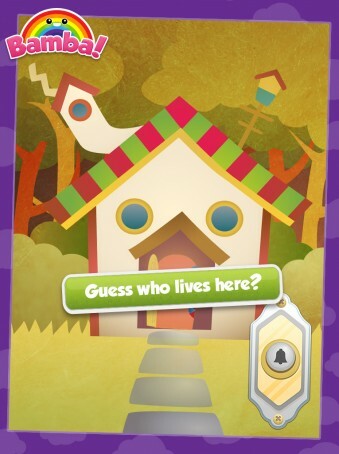 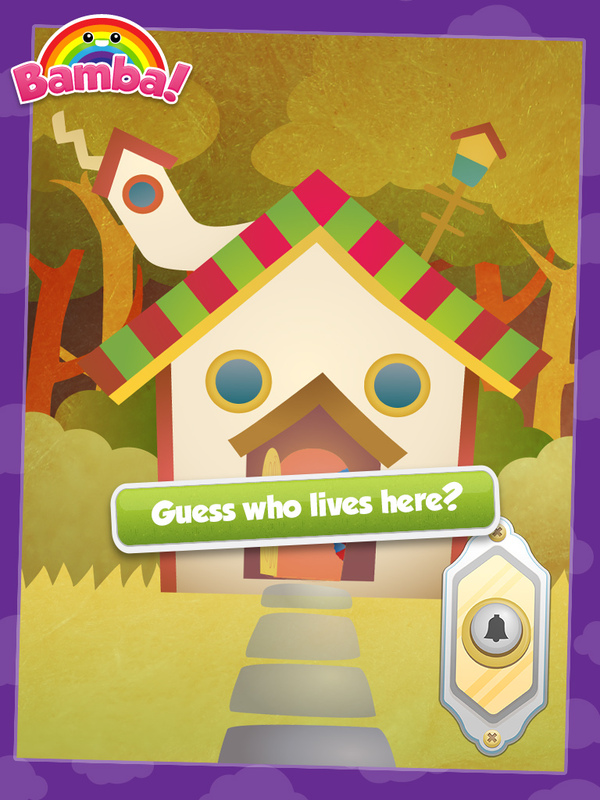 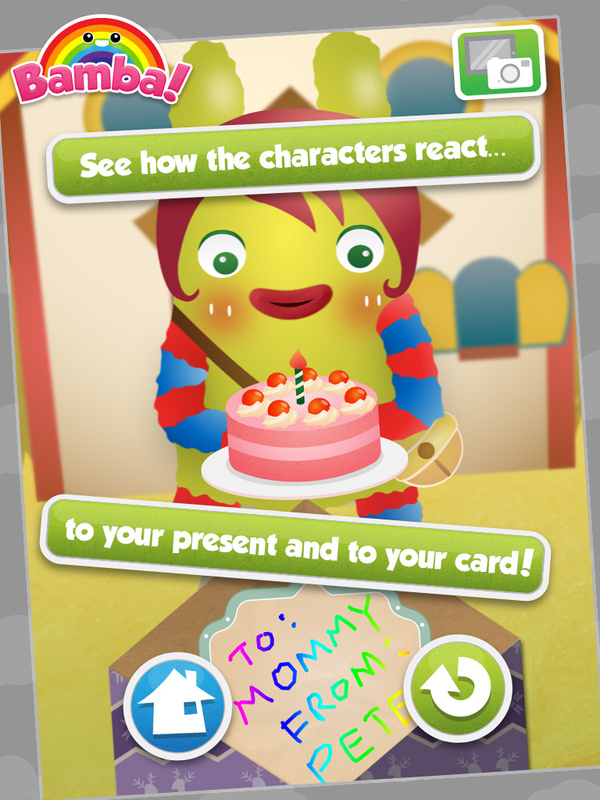 The card writing feature allows kids to write their cards and save a screenshot at the end. Dozens of presents, wrappers and decorations to choose from – Pink Bows to UFOs! 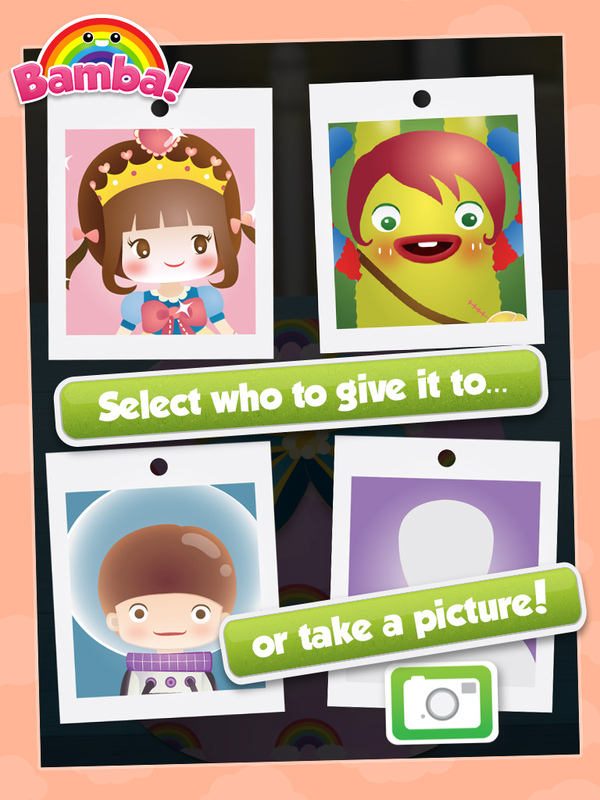 Use the camera to take a picture and deliver it to another person – be it a lovely cake or a can of worms! 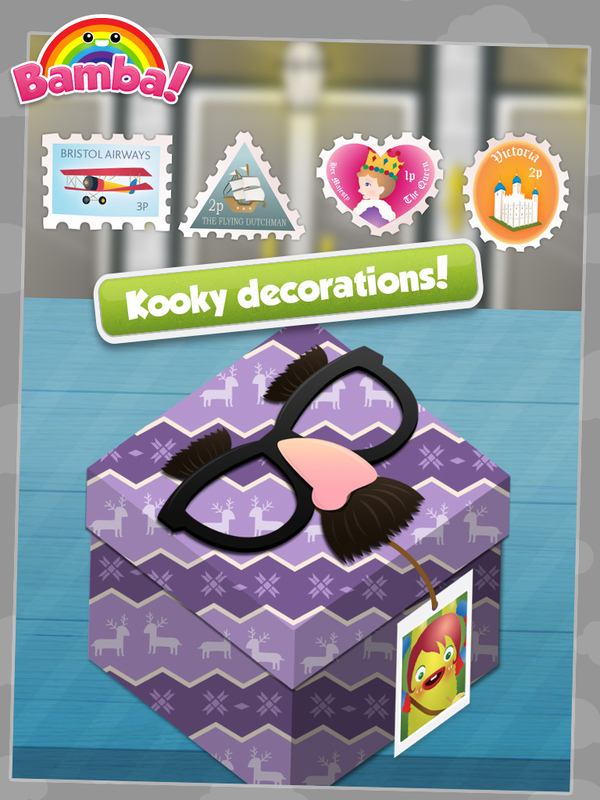 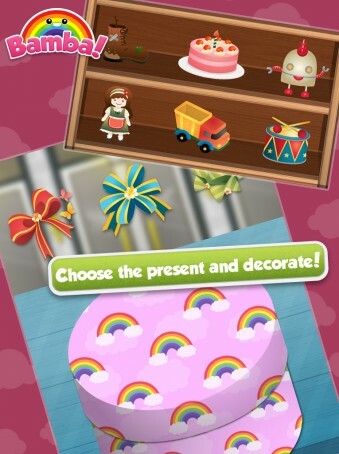 Interactive present assembling – choose the gift, decorate the box and write the card! 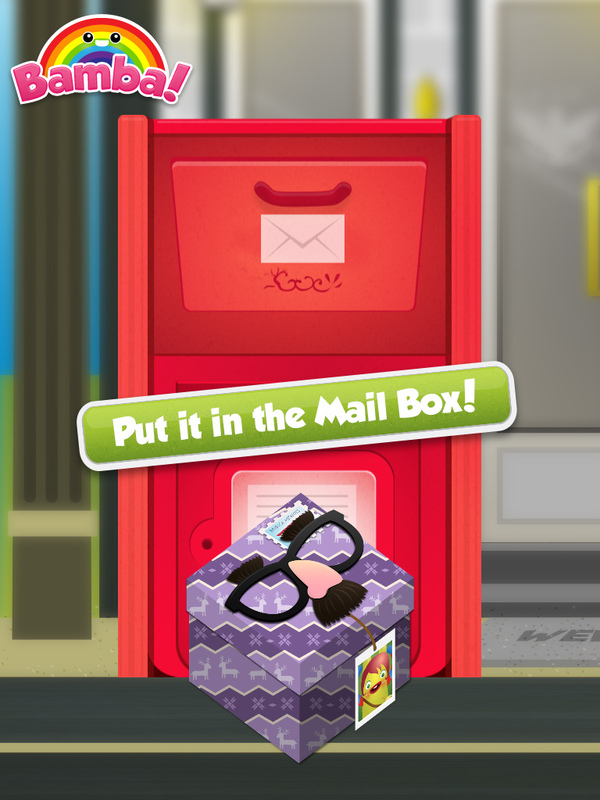 Bamba Post Office is an interactive toy designed for kids. There are no scores, complicated interfaces or stressful time limits. This game is great to play alone or with an adult.